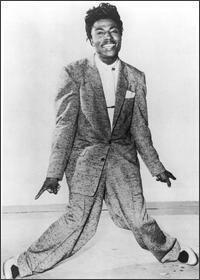 Little Richard. . Wallpaper and background images in the Rock'n'Roll Remembered club tagged: 1950s rock'n'roll keep a knockin rip it up long tall sally good golly miss molly etc. This Rock'n'Roll Remembered photo contains बिजनेस सूट, सूट, कपड़े का सूट, अच्छी तरह से तैयार व्यक्ति, सूट, पैंट सूट, pantsuit, पैंट्सट, and अच्छी तरह से कपड़े पहने व्यक्ति. There might also be थ्री - पीस सूट, तीन पीस सूट, डबल छाती सूट, डबल ब्रेस्टेड सूट, दो टुकड़ा, दो पीस सूट, लाउंज सूट, दो टुकड़े, and दो टुकड़ा सूट.